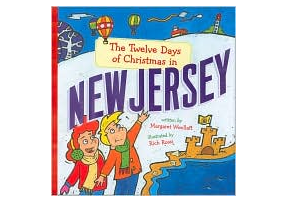 Here’s #10 in our countdown of the 11 best CDS/releases of 2011…. 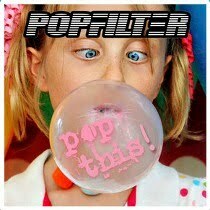 #10 Popfilter – Pop This! I met Ducky Carlisle of PopFilter many years ago after a show he had done with Dian Zain and Paul Armstrong as part of The Most, a Syracuse power pop band. The “venue”, if you can call it that, was an old man bar on So. Crouse called The Orange, and the drawing card was the 3 beers for a buck promotion on Saturday nights. Such was the state of Syracuse Power Pop at the time and we went backstage to talk with the band. Then I threw up on Ducky’s shoes. So much for memories. In PopFilter, he, Bleu, and Chris Anderson have a band that really rocks. Their influences jump out at you from the first track. Take a glop of ELO, a dash of Cheap Trick, and a smidgen of anything British Invasion, bake it at 350 for 40 minutes, and you’ve got PopFilter’s Pop This. And like holiday leftovers (and Syracuse power pop), it gets better the second and third time around.